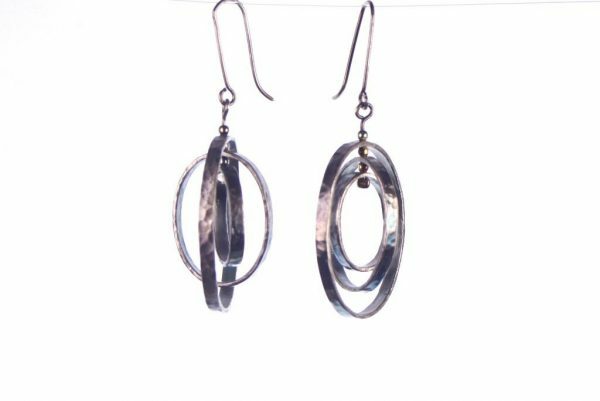 These Constant Motion-Sterling Silver Oval Earrings are three nested silver ovals that move every time you move your head. 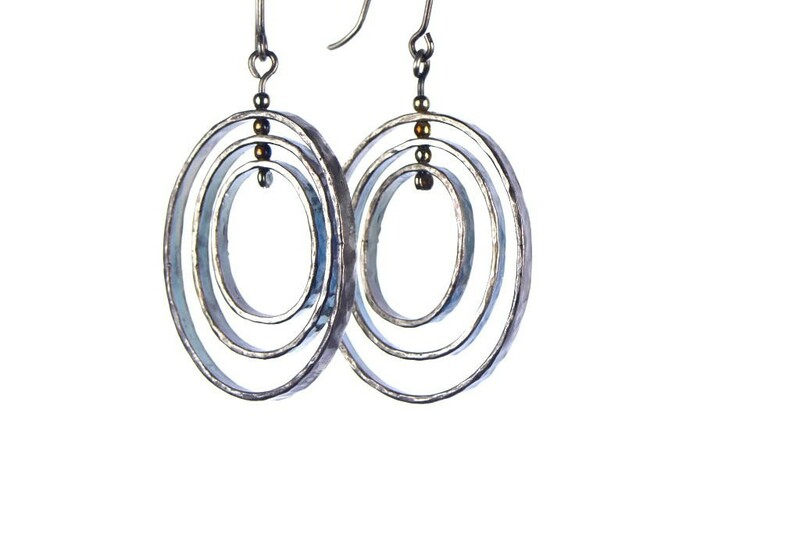 These long silver dangle earrings are oxidized to bring out hammered texture. These earrings are 2.25 “(5.5 cm) long from the tip of the ear wire.